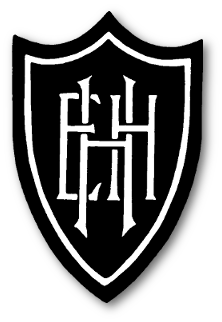 Traditionally for myself the 2nd weekend in June involves running The Hull 10k, in search of something different this year I managed to gain an entry for The 2 Castles 10k in Warwick. 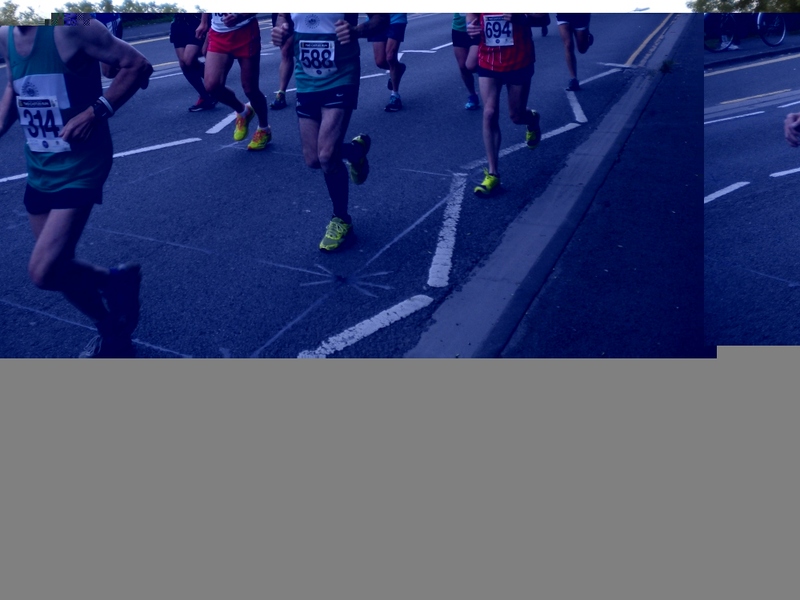 The race is very popular and generally sells out its 4000 places in a matter of hours, however for 2018, the Rotary Club, who organise the event decided on a ballot system. The ballot opened in early February for two weeks then entrants were drawn and notified if they had been successful at the beginning of March. 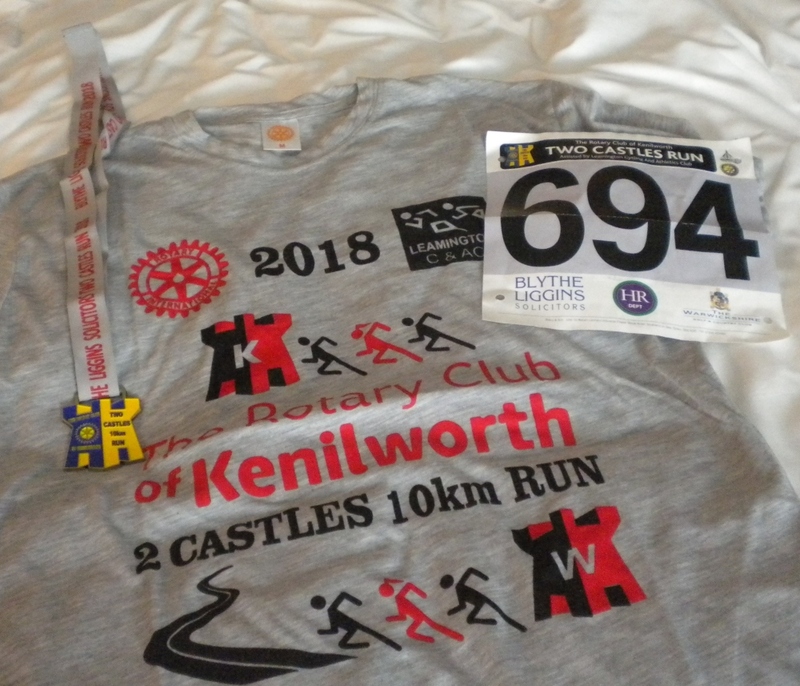 The race starts within the grounds of Warwick Castle before heading through the streets of Warwick before heading out into the countryside via the village of Hill Wooton to Kenilworth and finishing within the grounds of Kenilworth Castle. Race day came and we woke to warm but overcast conditions with only a slight breeze ideal conditions for a good run. The race start was 9am, our hotel was just over a mile from the start so Sheila and myself had a pleasant walk down into Warwick which also served as a good warm up for myself, Sheila walked while I ran ahead and looped back. On arrival at the castle entrance I said my good byes to Sheila who was going to carry on walking and find a good spot on the run route to watch and take photos. Once inside the castle grounds there were plenty of toilets, a bag drop area and lots of friendly marshals. I had another warm up around the grounds of the castle amongst the tress and along the river a very relaxing and picturesque place to warm up. For those who wanted a good stretch before the run the local golf club had an organised warm up session in the castle courtyard, needless to say I stood and watched LoL. Come 9am runners were shepherded down the path towards the castle entrance were the race was to start, with so many runners in a narrow space it was a little congested, once over the start line the congestion eased and I got into a decent rhythm. I knew the course would be fairly challenging as Kenilworth is higher than Warwick so didn’t push too hard. The first couple of miles were through the streets of Warwick and out towards the A46, around a mile out I spotted Sheila and gave her a wave. As the route approached the A46 I was anticipating a right turn so ran on the right side of the road and was somewhat confused when everyone else seemed to be running on the left, very quickly I could see why when the route took a left turn towards Hill Wooton not Leek Wooton as I thought! The name infers the nature of the route yes it was somewhat undulating and carried on been like this until 7km when the biggest hill of the route appeared, I got my head down shortened my stride and worked hard to the top of this ‘mountain’ LoL. After the hill the route thankfully wounds its way down towards Kenilworth before a couple more climbs towards the castle. The last 200m into the castle and the finish line was on a gravel path not the best of things in racing shoes but the fantastic support made it easier. I finished with a time of 44m52s and in 302 out of 3883 runners so I was fairly happy with that considering the nature of the coarse. Once across the line finish line goody bags which included a medal, t-shirt and chocolate bar were handed to every finisher. The baggage reclaim area was close by and my bag was passed to me just as I arrived I didn’t even have to ask. I then walked around the corner to board one of the free buses that were provided to take runners back to Warwick. The bus journey back to Warwick took around 15 minutes, on getting off the bus Sheila was waiting for me, we then walked back to our hotel I had a shower and got changed then we walked back into Warwick and straight into a pub for food and a few drinks (refuelling and rehydration that’s the technical name isn’t it?) To round the day off we walked back to the hotel so in all Sheila had walked around 10 miles I had ran just over 6 miles and walked about 5 so all in all a tiring day for us both! All in all a great weekend way, a well organised event that raises lots of money for local charities, a challenging run, a few beers, good food what more could we ask for.